I'm participating in the 2012 Creative Every Day Challenge, which provides a monthly theme to inspire creativity. January's theme is 'New.' 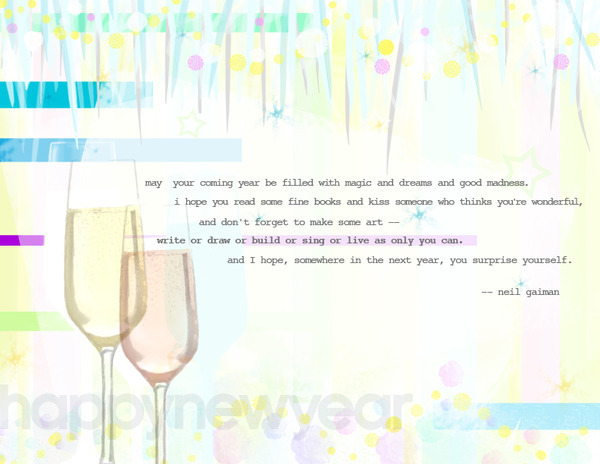 I drew the champagne glass in Photoshop (in the previous post and from a photo) and then created the above before I read Neil Gaiman's new New Year's quote. But you can never have too much Neil Gaiman.